John Tharby ex SSgt 131 lndep Para Sqn sadly passed away in hospital after a long illness in September 2004. 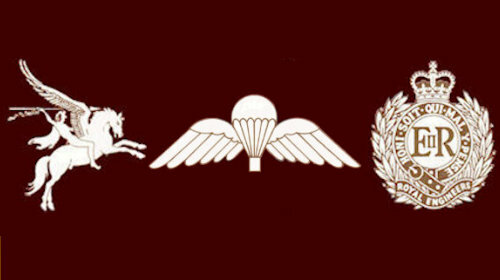 He had been a member of 131 both in regimental and squadron days, joining the regiment when he was seventeen and a half and qualifying as a parachutist. His National Service call up was delayed due to starting an apprenticeship and when he did get called up he served in the Canal Zone, supervising the manufacture of jerricans by the local labour force. John was then posted into 9 Sqn and completed his National Service with them and signed on as a regular for 6 years after. 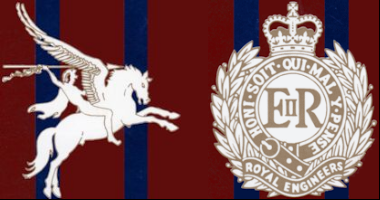 On completion of his engagement he transferred to 131 Airborne Engineer Regiment and worked his way up to Signals Staff Sergeant, a position he held for many years finally handing over his crossed flags in 1976. John stayed with the squadron and to their advantage, qualified as a cook; many of us remember his pies with parachute wings formed in the pastry! He later transferred to London University OTC where he finished his days in uniform in May 1991. It is recorded on good authority that on one weekend John took his pet rabbit Buck to camp with the OTC. Some cadets were drinking Pimms, discarding the fruit pieces to Buck who happily devoured anything coming his way with somewhat inebriated results at the end of the day! Outside the TA John was interested in tropical fish keeping (until the tank burst flooding the flat below! ), the local tennis club (social activities only! ), and also turned his skills to marquetry in which he excelled. He will be remembered by those who knew him as a likeable, friendly comrade who would try and help out as best he could in any situation, although on occasions he was known to go up to thirty thousand feet! He was cremated at Hendon Crematorium on the 27th September, a number of serving and ex 131 members being in attendance. Our condolences go to his sister Joy and the family.